Just a few days into the European leg of the Rubicon Tour, great reviews are starting to pop up at the internet. “There is no doubt that these Norwegians are standing strong and developed a more mature sound, unique and totally not comparable with other bands.”, it says in the review in Dutch acclaimed music blog Music Credo from the band’s gig in Hengelo, on October 9th. “The response has been absolutely overwhelming, really. 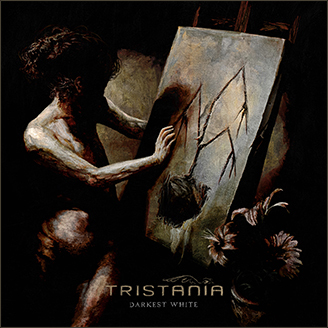 It seems to us that people are there to get convinced about Tristania again, and the gigs have generally been very good from the band’s side. So there have been a lot of happy faces in the crowd” the band says from the road. This entry was posted in News and tagged glauchau, hengelo, review, rubicon, tour, tristania. Bookmark the permalink. Thank you for quoting my review, it is a honour. As a long term follower of Tristania I can honestly say that the band is back with more power than ever. Indeed one of the most remarkable concerts of 2010 already. thanks for the great show at Alte Spinnerei in Glauchau and for the long chat at the merchandising stand afterwards. You guys created a mind-blowing live sound and now Rubicon is maltreating my cd-player 24/7. Best wishes for the rest of the tour. Can’t wait to meet you again! Muito bom o conteudo das musicas, espero que venham ao Brasil. I really enjoyed Tristania’s performance at the MetalFemaleVoicesFest in Belgium last saturday. For me it was the highlight of the day. Keep up the good work but please guys, don’t forget the older superb songs like evenfall.